Showing 16 - 26 of 26 articles tagged "Hasan Minhaj"
Patriot Act with Hasan Minhaj is already getting results less than a week after its premiere. “To me, the medium is the message,” says Minhaj, whose Patriot Act launches Sunday. “We got a br-illuminati connection,” Minhaj tells Tan. Minhaj and Trevor Noah were announced as Daily Show hires on the same day in 2014. 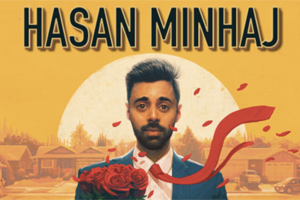 Minhaj will become the first Indian-American to host a weekly comedy show as a result of Netflix's 32-episode order. 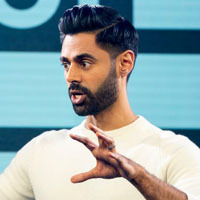 Wolf follows fellow Daily Show colleague Hasan Minhaj, who hosted last year's Trump-free dinner.